Overwatch Patch 1.25 introduced Overwatch Endorsements, Blizzard's newest feature to combat toxicity. Not all players participate in the game's Public Test Region, so the impact of endorsements couldn't be properly gauged based on the PTR alone. 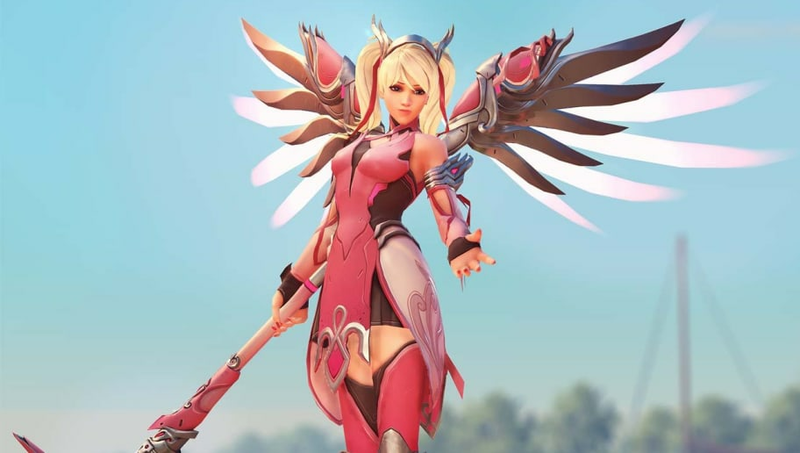 The feature's first day on live Overwatch servers, however, created a notable change in the community and showed a glimpse at a positive future for the game. Endorsements are intended to acknowledge the positivity of other Overwatch players. "Recognize commendable behavior for players exhibiting sportsmanship, being a good teammate, or for shot calling. Commend players who lead you to victory, put the team’s needs above their own, or exhibit humility in victory or grace in defeat," the patch notes read. ​Players can easily tell which players are cooperative based on their endorsement level and they can tell what positive contribution to the team players made through the different colors. Orange denotes a leader and shot caller, purple means the players are good teammates, while green is used to label teammates with good sportsmanship. The only way to receive an endorsement is by being endorsed by other players -- which means the way players choose to communicate and act in-game means more. And since the feature's ​addition to live servers, the impact of endorsements was instantly felt and seen. The amount of players commending others in chat and more willing to cooperate when combining ultimates or pushing in as a team is noticeably more than before, and Blizzard succeeded in bringing a more positive attitude to the community, even if it's at the promise of being rewarded for good behavior. ​Toxicity is a problem rampant in Overwatch, as most online player-v-player games might have. In the PC community specifically, players can type hateful messages through team chat or match chat in addition to being toxic through the team voice chat. It's unavoidable no matter what platform. The overly positive attitude players are showing in games might feel forced at times (though those cases do not appear to be as common) but endorsements are encouraging players to communicate more. Getting commendations after a match for good teamwork or being applauded in endorsements for shot calling feels nice -- a feeling that might feel foreign to some. Overwatch Players: "I hate these assholes on my team so mu--"
Blizzard: "We're introducing endorsement badges for good sportsmanship." Even though players should already be giving doing their best to help out with what their team needs in a ​team-based game like Overwatch, being rewarded for it, even with endorsements, feels good. The feature went live Tuesday, so its time on live servers only recently began. It's hard to tell how long the pleasantries will last (especially when players reach the maximum level five for endorsements) and if the feature will have a lasting effect on the game. People will ​still harass others, people will still throw games. Expecting it to go away entirely is unrealistic, but the first day of the endorsement feature showed players what the future of Overwatch could look like. For the first time in a while, Overwatch's player community seemed brighter, hopeful, and more willing to cooperate with the team. Even if some comments were insincere, it beats an overly toxic environment by a mile.